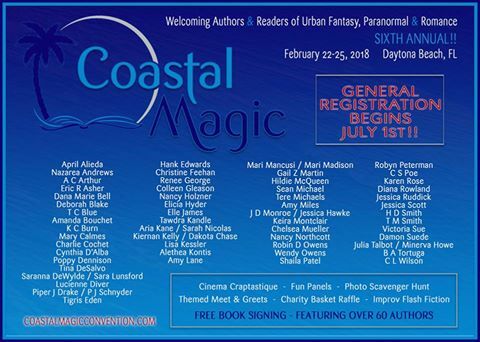 CMCon18JunePics Contest Winner – FREE Registration to Coastal Magic 2018! So cool. The winning picture was posted on the day I hosted. Click on the link below to see which picture won. Source: CMCon18JunePics Contest Winner – FREE Registration to Coastal Magic 2018!